Our Quotezone.co.uk brand is one of the UK’s leading comparison platforms and generates over 3 million quotes for our panel members each year. We also power comparison technology for other well-known brands. View the products we compare and find out more about featuring your business on our comparison systems. 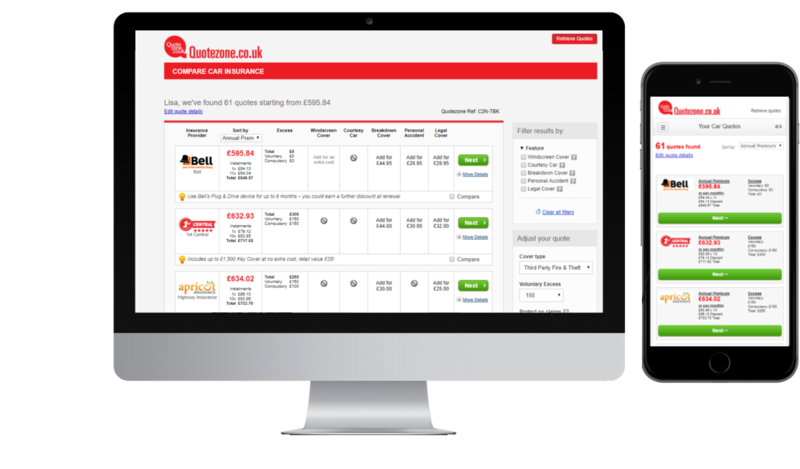 Our real-time comparison products, which include car, van, bike, pet, travel and home insurance, in addition to breakdown cover, home energy and business energy, instantly provide users with a range of quotes directly on the page. The user will then be able to choose the best quote and click through to complete the transaction online. Our offline comparison products, including life insurance, landlord insurance, public liability and professional indemnity, provide the user with one simple form to complete before matching them with suitable panel members in real time. The user's details are then passed on to your team, who can call the customer and complete the transaction over the phone. Our directory products, such as gadget insurance, jewellery insurance, pensions and travel money, provide the user with a directory of relevant providers and a description of how each panel member can help. The user then chooses the best provider for their needs and proceeds by clicking through to their site. Your brand appears on our comparison systems. Our price comparison panels: what's in it for you? Whether you’re an insurer, a broker, a financial services firm or an energy company, you can gain access to a host of new customers by partnering with Seopa as a panel member. Seopa developed one of UK's first technology-driven price comparison platforms, and we have been perfecting, enhancing and optimising our price comparison software since 2005. Compliance is a major consideration for the insurance industry. Seopa is authorised and regulated by the FCA, and ISO 27001 certified for data handling and data security. 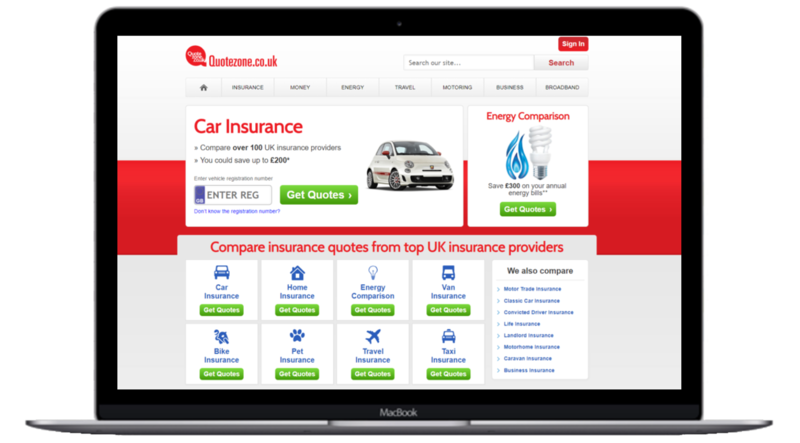 Quotezone.co.uk is a trusted brand in the insurance comparison market and generates over 2 million quotes for our panel members each year, while CompareNI.com is Northern Ireland's number one insurance comparison platform. With dozens of insurance panels to choose from, Seopa offers our panel members a host of opportunities to provide quotes to customers they would otherwise miss out on. By partnering with Seopa as a panel member you will have the opportunity to give your insurance prices to up to 200,000 new customers each month. Our website traffic is highly targeted, meaning there is a strong likelihood our panel members will be able to provide a competitive quote for a particular product. For many of our insurance products our panel members are able to automatically generate quotes for users and immediately display this on the page, which can reduce the cost of customer service and administration. Seopa's team have a strong focus on customer journey optimisation and conversion rate optimisation, meaning each of our price comparison platforms has impressively high conversion rates. We value working with businesses, creating partnerships with mutual benefits to build a future for everyone. We have over 100 Affiliates, over 200 Co-Brand Partners and over 400 Panel Members. 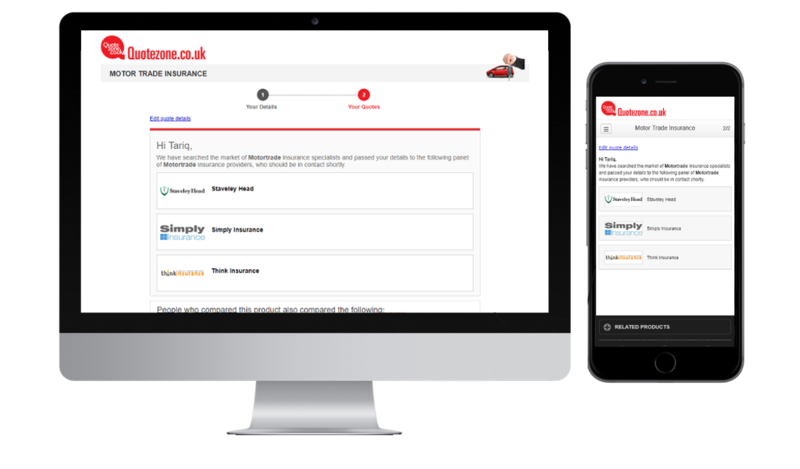 Brands across both Autonet Insurance and Carole Nash have worked with Quotezone in both online insurance comparison for car, home, bike and van insurance, as well as offline comparison for specialist markets such as liability, fleet and HGV. Having worked with the team for almost a decade, we have always found them professional, reliable and innovative. Correspondence and requests to and from the team have always had a swift response, and it’s this speed and efficiency that has been instrumental in our growth today. There have been, and I’m sure there will continue to be, testing times as we push our brands and software to their boundaries and beyond. With the team at Quotezone’s ‘can do’ attitude I believe we can all assist in achieving The Atlanta Group’s goals. Working with Quotezone has been hassle free. The guys got me set up in no time to compare products for criteria I specified. My dedicated account manager is always on hand to help out no matter what I need. I'd gladly recommend Quotezone to any broker. If you're interested in joining our panel, or simply have some questions to ask about our service, you can get in touch by filling in this short form.